Organization is easy when the price is right. The Tubular Steel Wire Roll File is a sturdy economical alternative to other organizers. 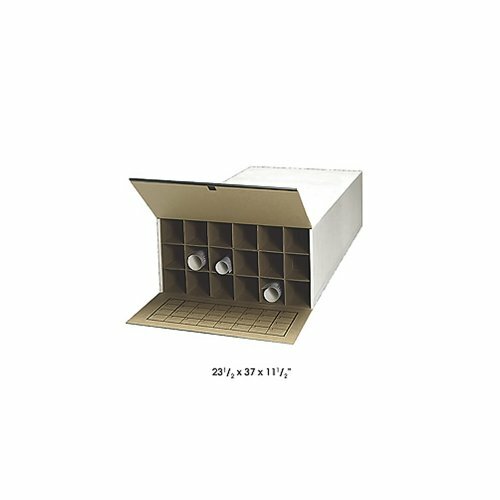 Grandstand design with 20 square tube compartments fits roll up to 2 3/4" diameter provides easy access and removal of materials. 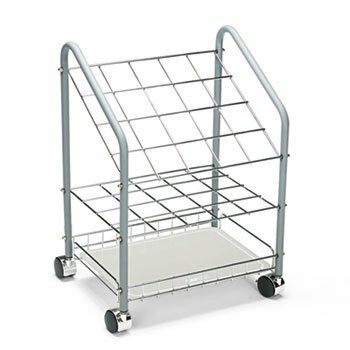 Constructed of lightweight tubular steel and chrome plate grids, The unit rolls easily to any location on 1 1/2" casters, 2 locking for convenience. Weight capacity 100 lbs. evenly distributed. Reinforce your workforce. Steel roll files are manufactured to last long and stay strong. Features 16 square fiberboard tubes that are case-hardened with aluminum molding for extra support. Tubes fit rolls up to 3 1/4" diameter and 37" roll length. Each file is equipped with doors that are dust-resistant, reversible and feature label grids for clean convenience. 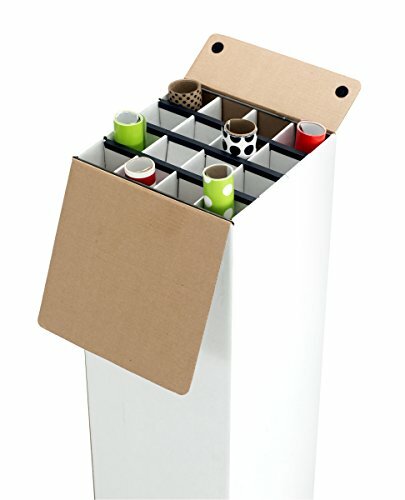 Stack your files up to 4 units high, to create an easy access storage unit. 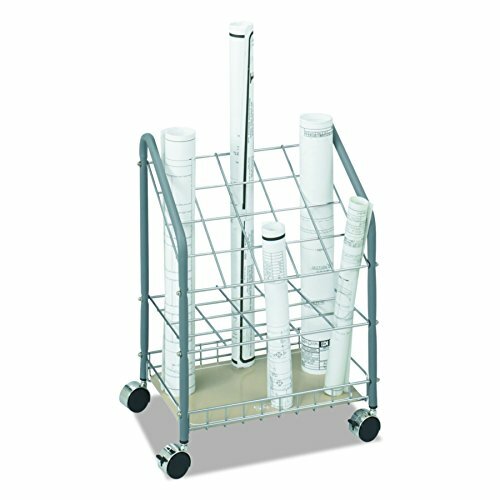 The sturdy design of anti-racking heavy steel construction will provide you with superior storage for your roll files. Durable powder coat finish. Get up and at it with the Vertical Roll File. Store and organize your documents with this compact deskside file. 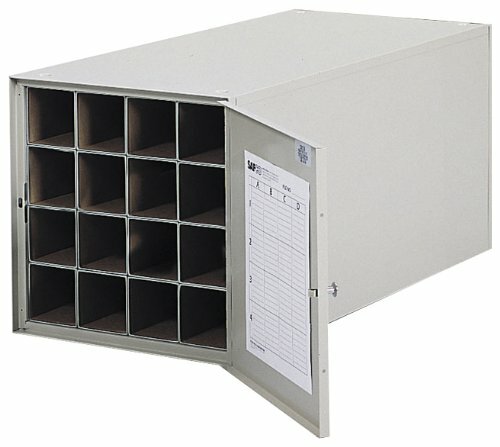 The Vertical Roll File has 20 compartments in a grandstand design, to keep your documents together and unharmed with square tube openings, 2 3/4" diameter. Reinforced tube openings with plastic molding, to prevent tears and snags. Each file is constructed of durable corrugated fiberboard in a walnut wood grain finish. Make your system mobile with four swivel (2 locking) 5" rubber casters with bumper guards. Weight capacity up to 1000 lbs. 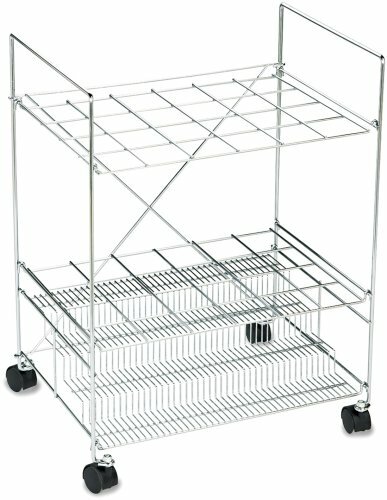 For use with Industrial Wire Shelving Models 5285, 5288, 5291, 5294 (sold separately). Penny-wise filing is possible with the Compact KD roll file. 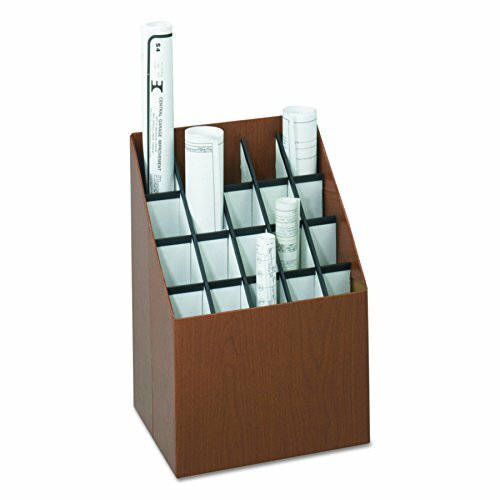 Economical roll file will accommodate your filing needs with 16 square tubes that fit roll size up to 2" diameter. 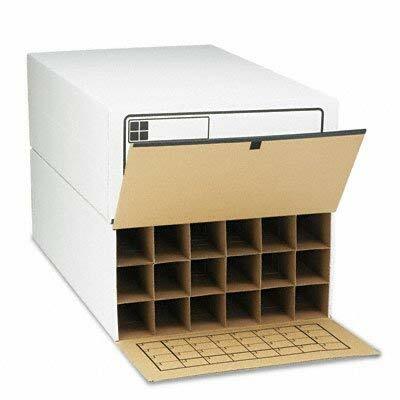 The Compact KD roll file is the perfect low-cost system for storage. Sturdy corrugated fiberboard construction. Assembles quickly and easily. Convenient, economical design rolls easily to point of use. Lightweight tubular steel frame with chrome-plated grids. Square tube design provides easy access and removal of materials. Mobile on twin wheel casters (two locking). Get Wired with the Chrome Wire Roll File. The Functional, sturdy, and sleek design of your Wire Roll File will keep you off your feet, but on your toes. Easy to access grandstand design with 24 compartments lets you can easily identify and remove your project. Square tube compartments fit rolls up to 3 1/8" diameter. Assembly is simple, just unfold your unit and drop in the base and grids. Steel constructed with chrome finish. 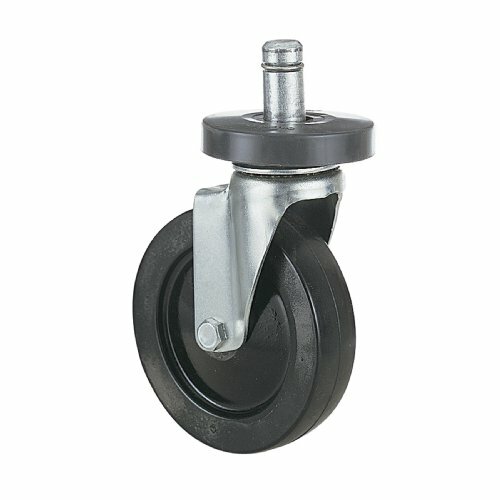 Rolls easily to point of use on four 1 1/2" swivel casters. Weight capacity 100 lbs. evenly distributed. Shopping Results for "Safco Products Tube"